A record number of UK customers switched gas and electricity suppliers in October as households prepare for winter, new figures from industry association EnergyUK show. Over 138,000 homeowners switched to an independent supplier last month, the highest ever gain in a month. The overall number of consumers switching to a new electricity supplier, big or small, also peaked at its highest ever level, with 345,862 switches in October. Britain’s independent gas and electricity suppliers such as First Utility, Ovo Energy and Utility Warehouse have been growing rapidly as the share of the big six energy suppliers has diminished. The big six – npower, British Gas, SSE, E.ON, Scottish Power and EDF – now account for around 90% of the UK domestic gas and electricity market, while independents hold a 9% share of the energy market (up from 3.1% in 2013). First Utility, the UK’s largest and fastest growing independent gas and electricity supplier, celebrated becoming the seventh largest energy supplier in the country in September. 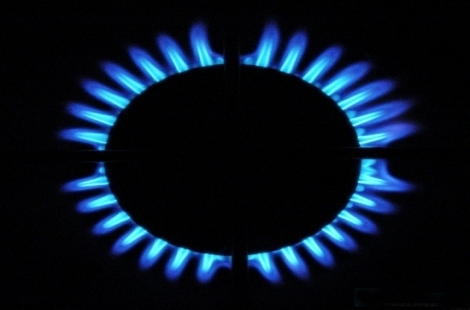 The company now provides gas and electricity to over one million domestic accounts. At the time of writing, First Utility provides the cheapest rates in the country with its Fixed March 2016 tariff at £960 a year. With big six supplier Npower currently occupying third position in the uSwitch best buy table with its Price Fix January 2016 tariff at £968 per year, larger suppliers are finally passing down wholesale savings to customers. Now competition is being freed up in the industry, consumers can make significant savings on their energy bills and are encouraged to routinely compare gas and electricity prices. “There are more companies than ever before in the electricity market offering a wide range of deals,” say EnergyUK Chief Executive Angela Knight. The news comes at the same time as it was announced the time it takes to switch supplier is now quicker than ever before. From Monday, customers switching to First Utiility and SSE experienced faster switching. By the end of the year, it will take just two and a half weeks to switch to any supplier, as opposed to five weeks. The quicker switch process includes a statutory 14 calendar day cooling off period (as mandated by EU law) and as few as three working days to finalise the switch. According to energy regulator Ofgem, 40% of households have never switched energy provider despite the savings offered by cheaper utility tariffs after comparing gas and electricity deals. In unison with October’s record number of switches, the faster switching time could see even more customers switching to better deals without barriers. A 24-hour switching target has received support from Energy and Climate Change Secretary Ed Davey and Ofgem. Colin Urquart is a political commentator and energy blogger. He works with various agencies to support change in the energy sector.